What level of minimal flows does a stretch of river or stream need to remain healthy and fish-friendly? How can all of the diverse users of a watershed—from ranchers and farmers to anglers and municipal users—collaborate to ensure the best management of those finite water resources? Those are the kind of essential questions that a new state tool—Stream Management Plans—are designed to answer. And everyone benefits from having those answers, including anglers. As first conceived by the Colorado Water Conservation Board (CWCB), Stream Management Plans aim to identify essential environmental and recreational flow needs for “priority” stream reaches, with an eye to improving flows and habitat through collaborative water management with other water users. Such plans may also help identify priority needs for river restoration and promote opportunities for multi-benefit partnerships among conservationists, recreationists, agricultural producers, and other stakeholders. Stream Management Plans figure strongly in Colorado's Water Plan and have been supported through a robust grant program with the CWCB. TU also seems them as a natural extension of our ongoing partnerships with ranchers and farmers to improve river health and maintain agriculture’s crucial role in our rural communities. We hope that such collaboration can produce community-driven plans that reflect local water use priorities, protect existing uses/water rights and enhance local understanding and management of water as a critical resource. Fly fishing in the heart of urban Denver! The South Platte River through the Denver metro area has been a major focus of restoration efforts with Denver Trout Unlimited, The Greenway Foundation and many local government partners. Local water suppliers included an environmental pool in plans for an enlarged Chatfield Reservoir (where a portion of the flood-control storage will be reallocated to use for water supply). Denver TU is working with local stakeholders and Miller Ecological Consultants to better understand the river's conditions and habitat provided across different flows, to provide a solid base of information for Colorado Parks and Wildlife to use in making decisions about how best to use the Chatfield environmental pool. In total, Denver TU has donated more than $100,000 towards the Chatfield Reallocation and studies to support Environmental Pool management. Combined with ongoing habitat restoration efforts, improved flows will help support a healthier river in the heart of Colorado's largest metropolitan area. 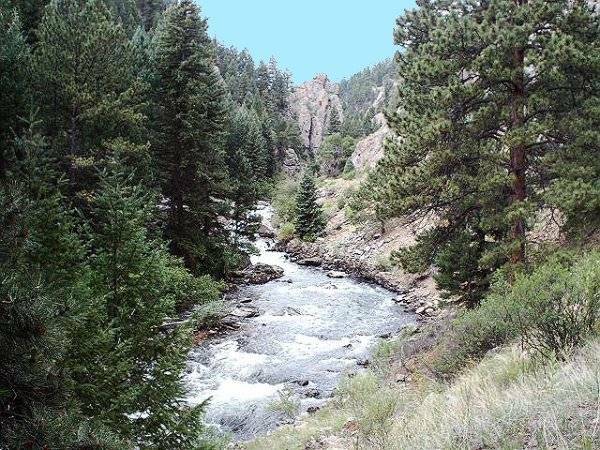 The North Fork South Platte was found eligible for Wild & Scenic designation but faces water quality and habitat challenges. The North Fork of the South Platte faces some unique challenges: water quality suffers from legacy mines in its headwaters, along with major natural sources of metals; wide-ranging flow conditions ranging from the river's own modest natural base flow to high flows created by west-slope water imported through the Roberts Tunnel; and major channelization of the stream that created many reaches lacking the natural mix of pool/riffle habitats that support healthy fisheries. In the face of these obstacles TU is working with other partners including Colorado Parks and Wildlife, Jefferson County Open Space (JeffCo), and Denver Water, to assess the river's habitat and water quality to better understand how best to pursue future restoration efforts (notably, Denver Water plan to invest significant funds into restoration as part of mitigation on its Moffat project). As a first pilot project, JeffCo and TU are working with senior engineering students at the Colorado School of Mines on a pilot project to design habitat improvements at the Pine Valley Ranch Open Space park. We hope it will be the first of many partnership efforts to restore fishery health on an often-overlooked river. 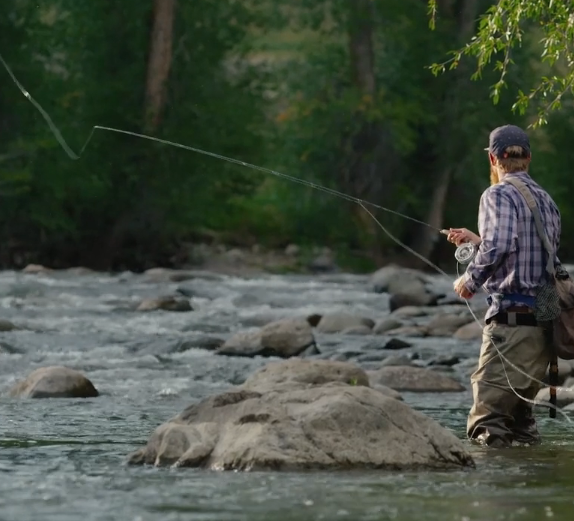 VIDEO: The story of the Upper Gunnison River Water Conservancy District and the people that are working to protect the waters of this amazing place. Trout Unlimited is working with the Upper Gunnison River Water Conservancy District (UGRWCD) on the Upper Gunnison Watershed Management Planning Effort. The goal of this effort is to protect existing water uses and watershed health in the Upper Gunnison Basin in the face of growing pressure from increased water demands and permanent reductions in overall water supply. The first step in this work it an Upper Gunnison Watershed Assessment. The assessment is focused on gathering input from all water users groups (recreational, agricultural, municipal, environmental, and industrial) to identify existing needs, existing shortages, and future needs for all the major tributaries to the Gunnison River above Blue Mesa Reservoir. Once completed, these assessments will be used to develop solutions for the range of uses represented. The solutions developed will be the drivers for an overarching watershed plan for the Upper Gunnison River. Jesse Kruthaupt, Trout Unlimited staff based in the Upper Gunnison Basin is on the Upper Gunnison Watershed Management Planning Committee and is the Ohio Creek Watershed Coordinator. His role as a sub-basin coordinator is to be the boots on the ground to meeting with landowners and water users to keep them up to speed on the process and to incorporate their knowledge and their needs effectively the assessment and plan. Assessments for Ohio Creek, the East River, and the Lake Fork will be completed in 2018 with funding assistance from the CWCB Watershed Restoration Fund, UGRWCD, Trout Unlimited, the Lake Fork Valley Conservancy, and High Country Conservation Advocates.